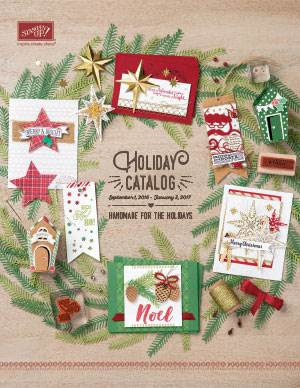 The 2016 Holiday Catalog is LIVE. Download it HERE. Right click on HERE and select "Save Target As" and save it to your computer. Be sure to note where your computer "decides" to save it so you can easily find it. Place an order of $25 or more any current Stampin' Up! Catalog by Friday, September 9, 2016, select me as your Stampin' Up! Demonstrator and use Hostess Code Y6US46XF and you will receive Crafts by Beth CPP Sentiments by email. For more information about Crafts by Beth "Click, Print and Punch" Sentiments, click HERE. Once your order has shipped, I will email you the file. Don't Be Afraid - Just Do It!